Walking in the streets of Florence it seems not much has changed since the Quattrocento, the days of the signoria and the city-state. The city centre is still resoundingly Renaissance in its urban fabric, with various churches, palaces of noble families, and public monuments – the stuff of tourist attraction – all clustered within a few square miles. 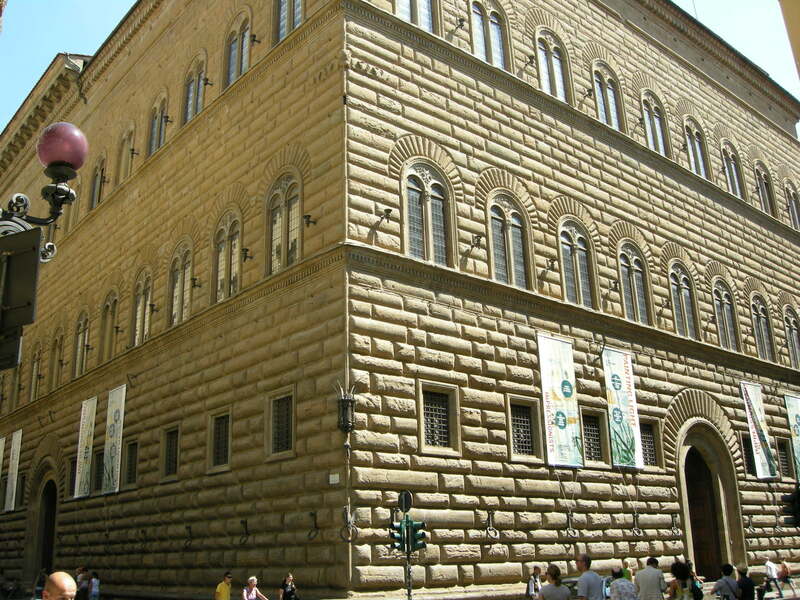 The narrow streets, large piazzas, and austere facades still preserve the image of Florence as the cradle of the Renaissance and it is perhaps for this reason that tourists flock here from across the world to get their dose of western art and culture. And so it was for me. 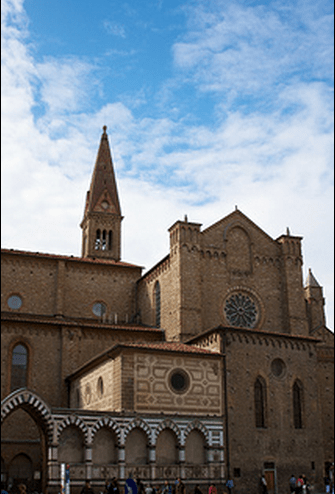 Exiting the railway station, one sees one of the many historic sights that Florence is famous for – the church of Santa Maria Novella. But soon if you turn back and look at the fascist-era station building, there is no stronger contrast. Walking further on, we come to the city’s most iconic building, the Duomo or the Cathedral of Santa Maria del Fiore, with its baptistery and bell-tower. 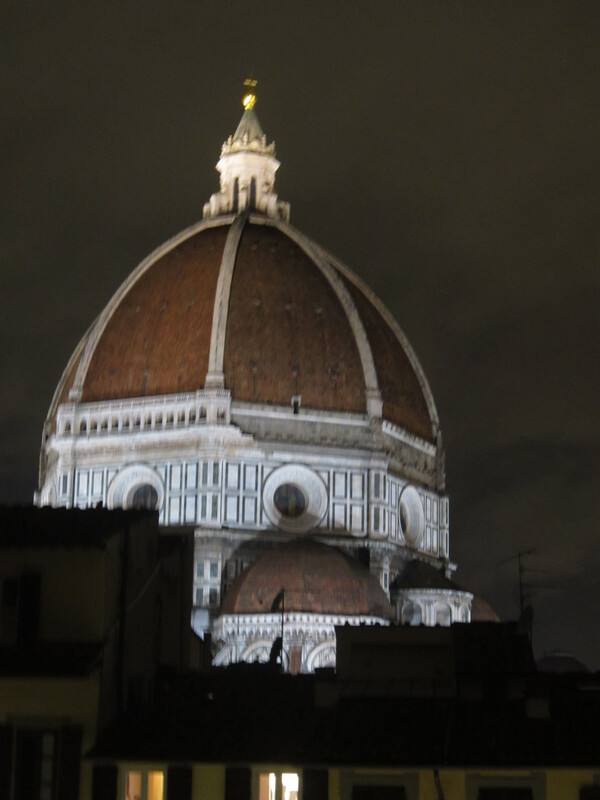 The dome of the 13th century cathedral, constructed by Brunelleschi, the city’s famous architect, is celebrated as a feat of Renaissance engineering and has dominated the city’s skyline ever since. In fact to get a great view of the dome, it is worthwile to climb the steps up to the café above the Oblate Library, just across the Piazza, where you can enjoy your cup of coffee at level with the dome! A short walk from there is the Piazza della Republica, with a pompous inscription dominating the square (The ancient centre of the city / restored from age-old squalor / to new life), which was formerly the commercial centre of the city with a crowded market-place that was later cleaned up of its ‘squalor’ to make space for a Florence as the capital of unified Italy. Today the square has luxury hotels and elegant cafes, but still remains a hub of activity with various souvenir and food stalls catering to tourists. Just around the corner is a small reminder of the centrality accorded to markets and merchants by this flourishing city – Orsanmichele – with the statues of the patron saints of various guilds decorating the niches on the outside walls of what used to be a loggia. 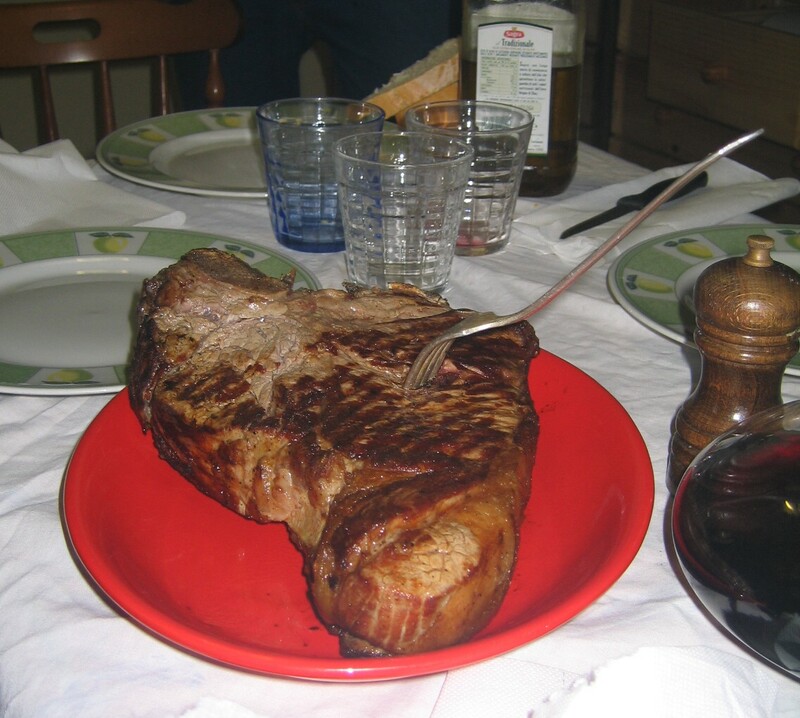 Finally, my visit to Florence would sound incomplete if the famous Fiorentina and other such delicacies were to go unmnentioned. Undoubtedly several restaurants in the city boast of a variety of ‘Tuscan food’, but it would hardly seem more authentic than when it comes from the kitchen of a Florentine himself. And so I learnt all about the mouth-watering Fiorentina beef steak , the Crostini di Fegatini, and the Finocchiona salami, amongst other things! 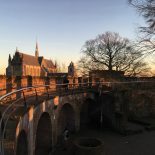 This entry was posted on January 10, 2014 by admin@theleidener in Culture, Leisure, Saarthak, Travel.